Free Copy of "Start Me Up!" 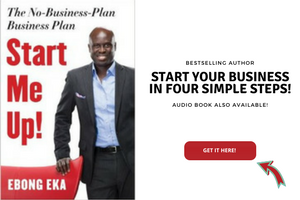 Start your business in Four (4) simple steps with my international bestseller! 2 Hr Course - Start Me Up! 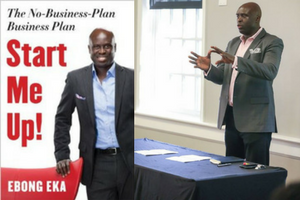 2hr Course: I show you how to start & grow your business in 4 steps. 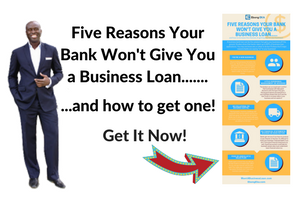 Learn how to raise money, get loans from banks & raise your prices! Double Your Prices in 4 Steps! 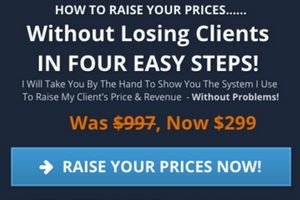 How to raise your prices in four steps without losing clients! 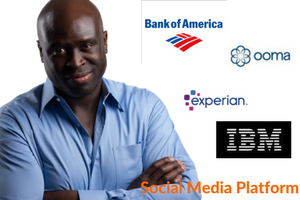 Hire Ebong to create content for your small business community! 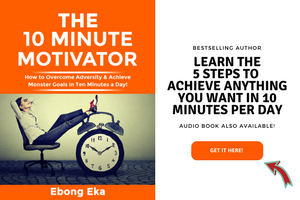 Use my 5 simple step process to achieve any goal & overcome adversity! 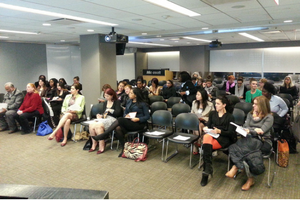 Our digital/live employee leadership workshops improves performance. 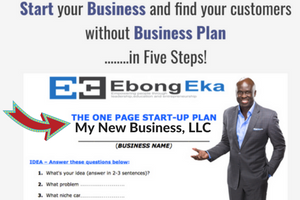 Don't waste your time writing a long business plan - Use this 1 Page Only! 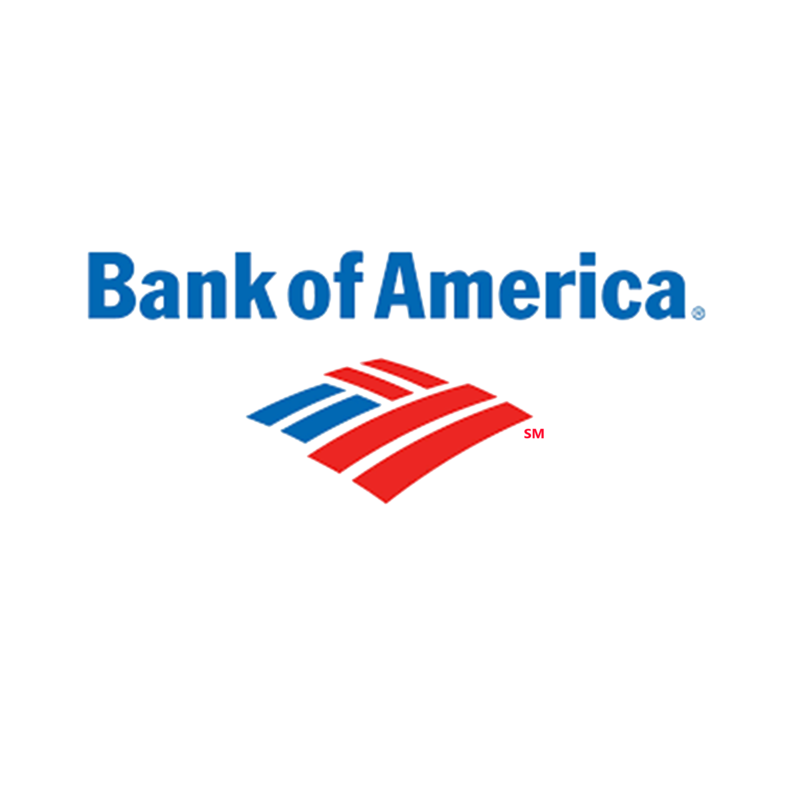 Discover why banks say no to small businesses and how to get a "Yes"! Secret deductions can save you money on taxes that will go away in 2018! 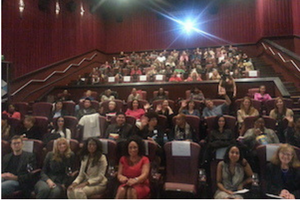 Take My Free Training Raise Your Rates & Sales! 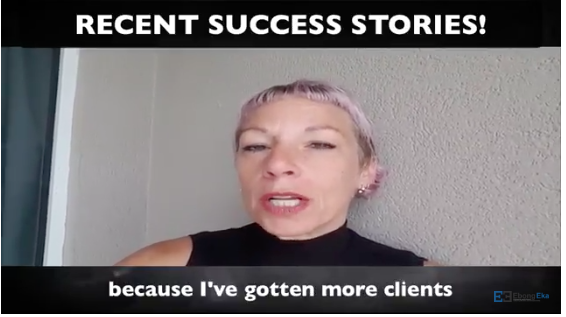 How to Get New Clients at Higher Rates Using 4 Simple Steps..without Confusing Marketing Tricks & Sales Gimmicks! How to handle the sales process like a champion and convert more client calls to closed sales....even if you hate selling! 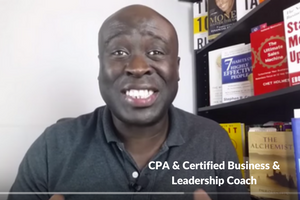 The major reason you can't find clients that want to do business with you and how to change it! 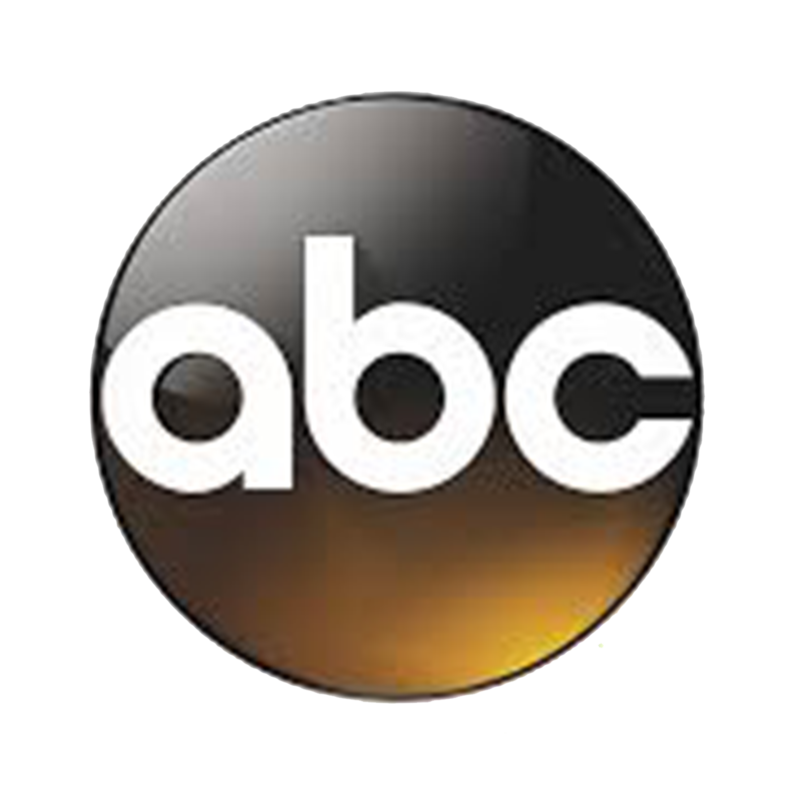 What your prices are really saying about your business and your services! How to charge what you're worth and why clients want to pay more to work with you! 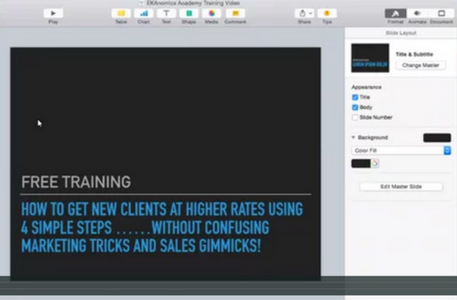 Our 3 step client attraction strategy that we use to work with higher paying clients! How we generate more clients without wasting time blogging, posting all over social media! 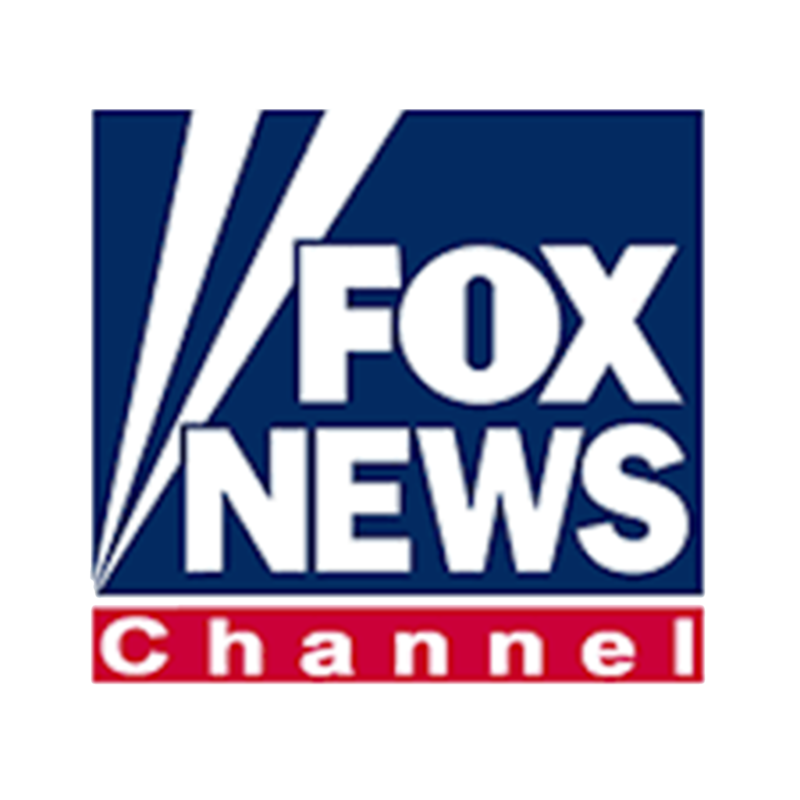 Click Here for Your Free Training Now! 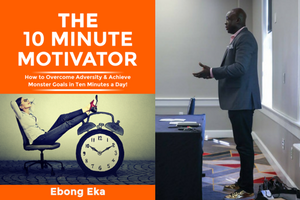 EKAnomics Academy is a Five Week intensive Action Program that provides the proven steps for consultants, and small business owners how to find more clients, raise prices and handle & create a sales process that works. 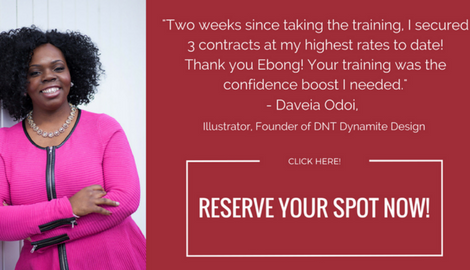 Web designer and illustrator, Daveia Odoi used our training to generate 3 of her highest paying contracts to date. One of he biggest obstacles was knowing what to say to a client when they say "your price is too high!" We cover that in the EKAnomics Academy! Don't miss out now. "Increase of 161% in Sales"
Jared Robinson is a massage therapist who increased his corporate revenue by 30%. 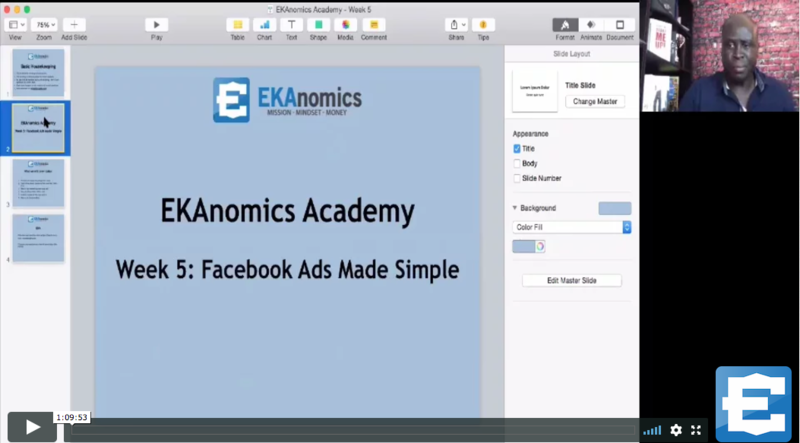 He also increased his clients by as high as 161% after using the EKAnomics Academy training. Increased revenue and sales allows you to invest in growth. What are you waiting for? "Gotten more clients & Sales..."
Kim Denton is a salon owner and coach in Boise, Idaho. She runs one of the largest salons in Boise, ID and recently was a student in the EKAnomics Academy. She has more clients and has raised her revenue as a result after five weeks! Our commitment to you is to help you achieve your goal of increasing your revenue and get more clients. Many coaches and consultants work with you and then send you on your way. We are committed to your success to make sure you make the gains you desire and deserve.